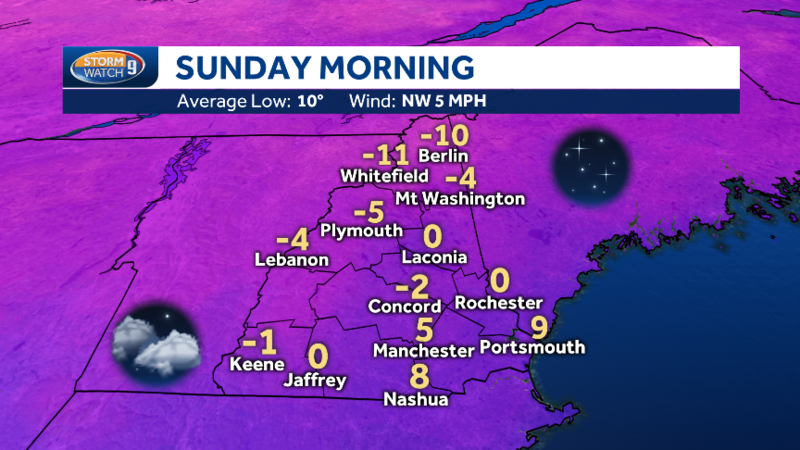 One of the coldest mornings we have had to date this season is predicted on Sunday, as many towns and cities will begin the day under zero or in the low single digits. In northern New Hampshire, it’s even attainable some morning lows might be within the double digits under zero. Fairly cold! Temperatures will slowly climb into the teenagers and low 20s on Sunday underneath full sunshine. A snowy system will dodge to the south of us. Barely milder temperatures will arrive on Monday, with highs going into the 20s. We’ll finally go up nearer to common highs on Tuesday with temperatures near freezing. We remain storm-free and dry by means of at the least Wednesday.